"Christmas is the season for kindling the fire of hospitality in the hall, the genial fame of charity in the heart”, is a true saying. 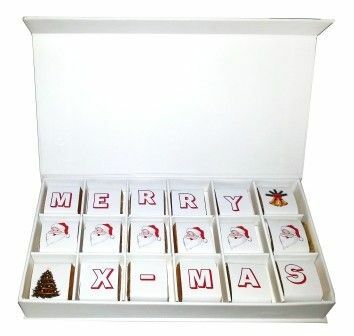 Make your Christmas celebrations memorable with this delightful pack of Dark Ivory chocolates made from finest quality cocoa beans and exotic flavors. The pack comes in a fine quality gift packing that will add moments of happiness in your celebration.